Let's love on our community! Doggie Tales; Read to a Guide Dog ages 5-10 Saturday Feb. 4 and Feb. 18 2017 10:30a.m-11:30a.m. Make and Take a Craft: ages 3-8 Saturday February 4, 2017 10:30a.m. PJ and Pancakes Storytime Monday February 6, 2017 3:30p.m. Let’s Talk; Practice English Conversation Mondays, Feb. 6, 13, 20, 27 at 6:30p.m. Toddler Time: Tues Feb, 7, 14, 21, 28, 2017 at 10:30a.m. Preschool Story Time Tues: Feb. 7, 14, 21, 28 2017 at 11:30a.m. The Art of STEAM ages 3-8 Weds, Feb 8 11:30a.m. Building with LEGOS ages 5-10 Weds. Feb. 8 6:00p.m. Music and Movement ages 3& up Monday Feb. 20 at 11:00a.m.-12:00p.m. Elevated Envy Hair Salon located at 670 Hillcrest Rd. Ste. 500 had a very rewarding evening Dec. 19. Salon owners Charmagne Grant and Kasha Smith along with Zeta Phi Beta members distributed new and gently used toys and coats that they had collected to around 100 children and 20 plus families. The salon also coordinates a back to school drive for needy families. This is their second year doing this community outreach. They welcome others join their efforts by contacting them at 470-375-3692. Quail Pointe Publishing - Owner David Raney of Lilburn welcomes the community to check out his writing services on his website www.quailpointepublishing.com. "We all live by stories. We read newspapers and novels, watch TV or movies, hear stories from our teachers and friends. We even dream in stories. Something in us needs it. But one important kind can get lost in the scurry of our busy lives, and it shouldn’t. Those are family stories. Who wouldn’t like to know more about their parents, grandparents, even their siblings? These can be people we never got to meet, or people we’ve known all our lives. What were they like growing up? What challenges did they face? What can their lives tell us about our own? I live here in Lilburn, and the company I helped start last year, Quail Pointe Publishing, helps people find some of the answers. We interview clients in the comfort of their homes or offices and then craft hardback memoirs, with photos and stories that families can share down the generations. We also provide edited video, so family members can feel they’re right in the room with a loved one. I love this work, bringing families closer by telling their stories. We travel all over to do it, but I’d be honored to tell some of Lilburn’s best tales too." Actors Scene - The Actors' Scene acting school is opening a satellite location inside the All Star Karate studio at 850 Dogwood Road, Suite A500, Lawrenceville GA 30044. This well known school has its main campus in Buford and recently has worked with Berkmar High School theatre students. See MORE for information on an Intro Acting class that will be starting in February. Check website www.the actorsscene.com or phone 770-904-6646 for more information. On Monday, February 6 from 7 pm until 8:30 pm, Mayor Johnny Crist will host a casual meeting for the public to talk about the City of Lilburn's goals for 2017. This is an opportunity to ask questions and tell the Mayor what projects are important to you. This community garage sale is a great opportunity to repurpose unwanted items and maybe find some new treasures while you're at the sale! The sale will take place on March 25 from 9 am until 1 pm. in the overflow Greenway Parking Lot at 76 Main Street. In honor of Arbor Day, the City of Lilburn is hosting a Tree Planting and Maintenance Lunch & Learn! 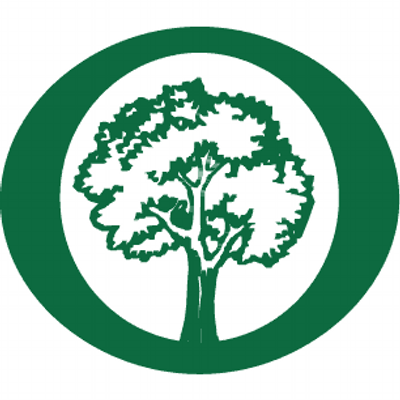 Bring your sack lunch and learn about tree maintenance & planting from Gwinnett Master Gardener, Kate Pittman. This free lunch & learn will take place on Saturday, March 4 from 11:30 a.m. - 12:30 p.m. at Lilburn City Hall located at 340 Main St. Pre-registration is not required. This is a great opportunity to meet your neighbors and get a jump start on your spring planting. The Lilburn Community Improvement District is working with property owners and city leaders on long-range plans to substantially enhance Lilburn Industrial Way. Preliminary planning will begin soon for reconstructing the road to better accommodate tractor-trailers and other vehicles accessing the area’s commercial operations. Reconstruction improvements will include curbs and gutters, stormwater drainage, resurfacing and striping, roadway lighting and a more durable roadway pavement to accommodate heavy trucks. The project will also focus on increasing the turning radius at the Killian Hill and Lilburn Industrial Boulevard intersection as well as reconstruction of driveways to accommodate the movement of larger trucks and tractor-trailers. The CID will also evaluate the need for a traffic signal at the intersection with Killian Hill and provide the analysis to Gwinnett County for their review and decision. The construction improvements will be funded by the city’s 2016 SPLOST allocation. The planning and design plan development is funded through a combination of Lilburn CID funds and Gwinnett County’s 2009 SPLOST. At the same time, the CID is meeting with Lilburn Industrial Way property owners to discuss necessary individual improvements such as fencing repairs and debris removal. The Lilburn Community Partnership recently voted to host the third annual Taste of Lilburn to be held on Saturday, April 22, 2017 from noon until 4 pm in the Gartrell Nash Pavilion. This event is the main fundraiser for the organization which manages the Wynne-Russell Historic Home. The LCP which has traditionally hosted the International Festival as a Saturday event will instead assist the City of Lilburn staff on Tuesday, Sept. 12 for an International Food Truck Tuesday by arranging for entertainment during the event from 6:30 pm until 9:pm. LCP will also be hosting Lilburn After Hours in March and May with dates and programs to be determined. The LCP Board, which meets four to six times, per year is currently looking for board members and volunteers to assist with events and the montly Lovin'Lilburn newsletter. The next board meeting is Wednesday, February 8 at 8:30 am at the Wynne-Russell House. Contact Diana Preston at info@lilburncp.com for more information. The committee meets the second Wednesday of the month at the Wynne-Russell House. The next meeting is Feb. 8 at 5:00 pm. 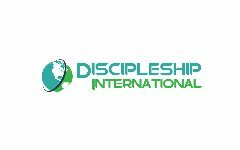 Visitors and new members welcomed. Staged Right Community Theatre production of "A Doll's House" in March 10-18. The Art Alliance invites area residents to join their organization. Some of our workshops this year include: portraits, flower painting, dragon drawing, pysanky eggs. Field Trip to Booth Western Art Museum: Join your friends in the Lilburn Arts Alliance on a field trip to the Boothe Western Art Museum in Cartersville, Georgia on Saturday, Feb. 25. Meet at Lilburn City Hall parking lot 340 Main St. Lilburn to carpool at 9:45 am. Admission is $10 plus tax for adults, $8 plus for seniors and $7 for students. Please contact Peggy Sullens by Feb 24th (call 770-921-9440 or email pjsullens@bellsouth.net) if you plan to attend. Come out and enjoy your favorite IHOP breakfast and let's have a table top discussion. No extra charge for this meeting. You may order and pay IHOP for food. Preregister so we know you are coming. 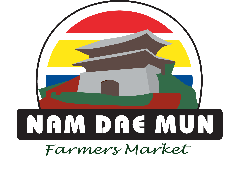 Needs: Canned Fruit and Vegetables, Dry Rice and Beans, Healthy Snacks, Granola Bars, Cooking Oil, Powdered Milk, Water and Toilet Paper. Eye Glass Collections – Berkmar High School, Thomas Eye Group, and Lilburn Co-op. 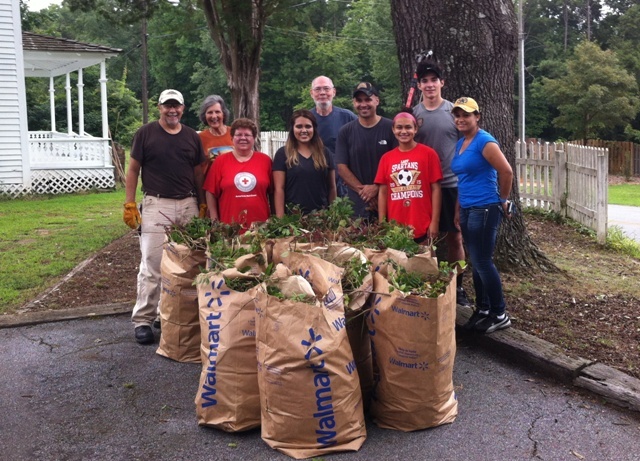 The Lilburn Lions continue to serve the needs of the Lilburn community. After a successful coat drive with Meadowcreek High School in December, they are now kicking off their second annual February Food Drive. Needed items are: Canned Fruit and Vegetables, Dry Rice and Beans, Healthy Snacks, Granola Bars, Cooking Oil, Powdered Milk, Water and Toilet Paper. These items may be dropped off at House of Payne, Gwinnett College, and Mail and Package Center. If your business is interested in being a food donation location, contact Rachel Payne, cell: 678.641.9188 or email axel.houseofpayne@gmail.com. The Lions are also collecting eye-glasses at Berkmar High School, Lilburn Co-op and Thomas Eye Group. The Lilburn Lions Club meets on the second Thursday of the month at noon at Taste of Paradise restaurant. The next meeting is October 13 and visitors are welcome. Contact President Derrick Weaver at 770-377-9523 or Danny Taylor at 770-925-0300 for contact information. 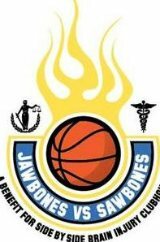 The Lilburn Woman's Club proudly supports Side by Side Brain Injury Clubhouse who will be having its 6th Annual Jawbones (Lawyers) vs. Sawbones (Doctors) Basketball Benefit Game Saturday, March 25, 2017, 6:30 pm at Mercer University gymnasium. Please see below for details and ticket information. WHO - Side by Side Brain Injury Clubhouse was begun by professionals who worked at Shepherd Center specializing in spinal cord and brain injury rehabilitation along with medical research at the top rehabilitation hospital in the nation. They recognized a critical need for additional assistance after patients were released from Shepherd Center for the long-term well-being of adults with brain-injury disabilities and their families. Side by Side Brain Injury Clubhouse was created in that effort to provide skills development, support and advocacy and to assist patients in becoming contributing members of their communities for their best possible quality of life. Side by Side is physically located in Stone Mountain. However, it serves members who come from the entire metro Atlanta area and is the only facility of its kind in the State of Georgia. WHAT - Jawbones vs Sawbones - The Jawbones vs Sawbones Basketball game became the signature fundraising event for Side by Side with the first annual event held in March, 2012. Having a basketball game pitting lawyers (Jawbones) against doctors (Sawbones) was the brainchild of a spouse of a Side by Side member whose life and that of his wife and children were forever changed when a very heavy item fell from a high shelf at a major box store and hit him on the head. The member’s wife used her creative talents and marketing background to help this organization which had helped her family so much. In addition to the game itself, there is a silent auction of wonderful items from jewelry to trips and tickets to local events, a raffle, concessions, and activities for kids and the whole family. The calls came in from Nantucket, old town Lilburn, and around Hampton Rhoades (H3) subdivision on Miller Road. Unfortunately, Police lost the trail: They suspect that another person gave the runner a ride. However, they would not have been able to follow him as far as they did without significant input from the community. If it weren’t for these residents, conscientious enough to notify the police of suspicious activity, providing detailed descriptions and caring about the safety of their neighborhood, the police wouldn’t have been able to pursue him nearly as long as they did. Residents can serve as the eyes and ears of law enforcement, providing information and being in many places at the same time. While there are a limited number of police on duty at one time, there are 13,000 residents in Lilburn. If everyone makes an effort to communicate suspicious activity when they see it, Lilburn can be the safest community in Georgia. After the well-received December production of "Almost, Maine" Staged Right Community Theatre is now working on "A Doll's House." which will run March 10 -18. Below is a description of the play from their web site. Go to www.stagedrighttheatre.org for more info. "The third show of our debut season is the classic by Henrik Ibsen, directed by Brian Jones. Highly controversial at the time of its debut, A Doll's House centers on the marriage of Torvald and Nora Helmer in a time when, according to the playwright himself, "A woman cannot be herself in modern society. It is an exclusively male society, with laws made by men and with prosecutors and judges who assess feminine conduct from a masculine standpoint." What happens in this kind of society when a husband puts his foot down once too often? The ending of A Doll's House - while inevitable from a modern perspective - was quite the scandal in 1879." Wednesdays, February 1 to 22 from 6:30pm to 8:30pm. Develop a healthy relationship and learn five characteristics about a partner that accurately predicts what they will be like in a long-term relationship. Dinner will be provided. To register, please call 1.877.814.0535. Norcross Human Services Center, 5030 Georgia Belle Court in Norcross. February 3 from 6:30pm to 8:30pm. The whole family is welcome as we showcase a popular children's book each month. This month's story is "Swimmy" by Leo Lionni, brought to you by the Gwinnett County Public Library. The event continues with swimming and activities based on the book. All pool rules apply. All ages; cost: $6 per person (free for ages 3 and under). Pre-registration required; register here (use code BEP41107) or call 678.277.0880. Bethesda Park Aquatic Center, 225 Bethesda Church Road, Lawrenceville. Unusual Plants in the Southscape Garden FREE! February 4, 10:00am to 11:00am. Meet with the master gardeners and learn about the unusual plants in the Southscape Garden at Vines Park. Master gardeners will be available to answer your questions. Meet at the parking lot entrance. All ages; call 678.277.0900 for more information. Vines Park, 3500 Oak Grove Road, Loganville. February 7 from 9:30am to 4:00pm. Defensive driving techniques designed for seniors, but anyone with a valid driver's license is welcome. For insurance discount, contact provider. Cost: $15 for AARP members with card, $20 for non-members. To pre-register, call 770.985.4713, Centerville Community Center, 3025 Bethany Church Road in Snellville. 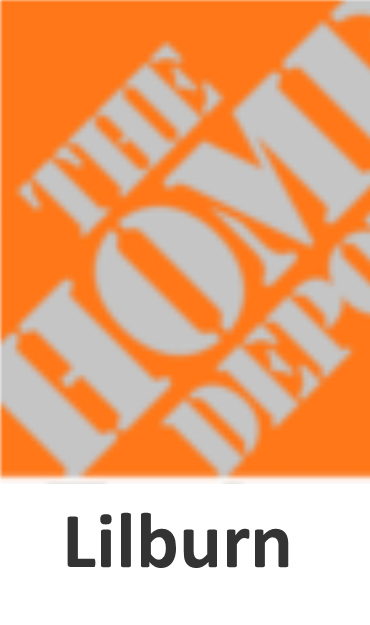 Detention Pond Maintenance Workshop | FREE! February 9 from 6:00pm to 7:30pm. Learn about the purpose, function, and aesthetic value of your detention pond along with some troubleshooting tips at this free workshop. Attendees from unincorporated Gwinnett County, city of Lilburn, or city of Peachtree Corners may qualify for a maximum 5 percent credit toward their stormwater utility fee for the following year. Register online by visiting the Water Resources Public Education Page. You can also register by emailing your name, address, and phone number to dwrworkshops@gwinnettcounty.com or call 678.376.7126. Gwinnett County Library - Collins Hill Branch, 455 Camp Perrin Road, Lawrenceville. Valentine's Day Weddings | FREE! February 14 from 10:00am to 4:00pm. Judges from Magistrate and Probate Courts are offering free Valentine's Day weddings and vow renewal ceremonies in Courtroom 1H. Couples getting married must get a marriage license from the Probate Court before Valentine's Day. Gwinnett Justice and Administration Center, 75 Langley Drive in Lawrenceville. Have you ever wondered why a fire truck responds to your medical emergency, why the County has a SPLOST program, or how clean water gets to your house? 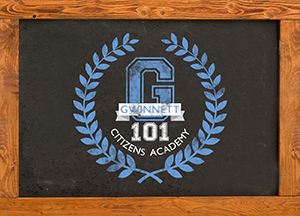 The Gwinnett 101: Citizens Academy can help answer those questions and more. Gwinnett 101 is a free program that seeks to develop and nurture informed and engaged residents, students, and business owners in Gwinnett. Class members will get a firsthand glimpse of how the County works and have an opportunity to build a network with others who live, work, and learn in Gwinnett County. Classes will be held on Thursday evenings from 6:00pm to 9:00pm beginning with an orientation on Tuesday, April 11 and ending with a graduation and recognition by the Gwin­nett County Board of Commissioners on Tuesday, June 27. Residents who are interested in participating in the pro­gram must be at least 18 years old and be a resident and/or business owner in Gwinnett or attend a Gwinnett college or university. Class size is limited to 30 participants who will be chosen by a selection committee. Applications are available online and must be received by March 3, 2017. For more information about Gwinnett 101, visitwww.gwinnett101.com. 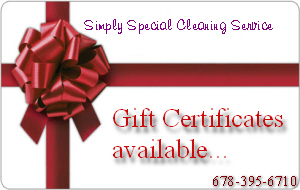 Visit www.ugaextension.org/gwinnett or call 678.377.4010 to request an order form. All orders must be prepaid by cash or check and prepaid orders must be picked up on March 16 from 9:00am to 6:00pm at the Gwinnett Coun­ty Fairgrounds, 2406 Sugarloaf Parkway in Lawrenceville. Additional plants will also be available for purchase on pickup day. body heat, decode secret messages using pressure and much more. Put on your cape and become a magician before it all disappears! Abracadabra was created by The Children’s Museum of Cleveland, in Cleveland, Ohio. 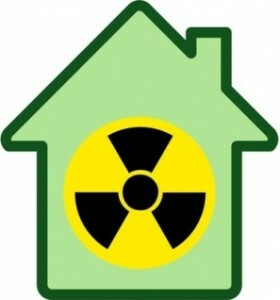 The U.S. Environmental Protection Agency has designated January as National Radon Action Month. Radon is the second leading cause of lung cancer in the U.S. Radon is an odorless, tasteless, radioactive gas that occurs naturally from the normal decay of uranium found in most rocks and soil. It can move through the ground and enter your home through small, hairline openings in the foundation. While radon is present around the world, exposure var­ies widely. Georgia is number one in the southeast for radon-induced cancer and Gwinnett County has been designated by the EPA as having the highest potential for radon exposure. It could be present at dangerous levels in your home, but the only way to know if your home contains radon is to conduct a radon detection test. Test your home and protect your health during Nation­al Radon Action Month. Visit the Gwinnett County Extension Office at 750 South Perry Street, Suite 400 in Lawrenceville to purchase a radon test kit for $10. For more information, contact Ines Beltran, radon specialist, at 678.377.4010 or ines.beltran@gwinnettcounty.com. (Lawrenceville, Ga., Jan. 9, 2017) – Now that the Lilburn Branch of the Gwinnett County Public Library has moved into the new home it shares with Lilburn City Hall, the old building will be renovated to become an activity building with a classroom, a community room with a catering kitchen, a dance studio, new restrooms and storage space. Under a $936,886 contract approved by Gwinnett commissioners last Tuesday, Diversified Construction of Georgia Inc. will renovate the building located on two acres at 788 Hillcrest Road NW. The contract calls for a new roof, flooring, lighting and fire protection system plus exterior upgrades that include landscaping, sidewalk, parking improvements and new signage. Diversified was the lowest of 11 bidders for the project. 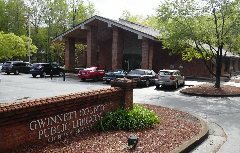 The old library building, with 10,518 square feet, was one of the oldest and smallest branch libraries in Gwinnett County.